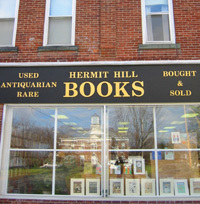 Site and contents ©2004-2008 Hermit Hill Books. Visual Design: Jesse Brown. Programming and hosting: VTweb.com.